Since 2008 Mandarin Zone welcomed students from many different countries in the world; our students came from different backgrounds and industries. Go to have a look to our students’ testimonials on The Beijinger. We also have several students talking about us from Go Overseas. 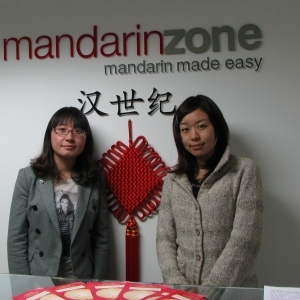 I have been a student of mandarin zone for close to 3 years having previously studied at various different Chinese language schools in Beijing. I would recommend Mandarin Zone to anyone who is looking for a consistent platform to start learn. I would like to thank you for making our daughter Georgia’s stay in Beijing a wonderful experience. She came back with many stories to tell about her exploring new places, learning Mandarin and the wonderful experience of staying with her host family. 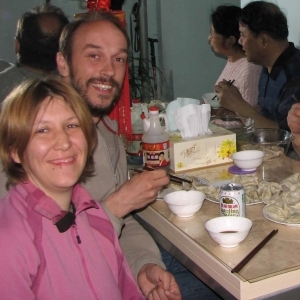 We feel that this has not only helped with mandarin but has also given her a taste of what other cultures are like as is now very keen to explore other parts of the world. Georgia has come home feeling very strongly about doing well in Mandarin in her IB. Without Mandarin one I really don’t think that Georgia would have been able to experience the language or culture and for this we thank you very much. 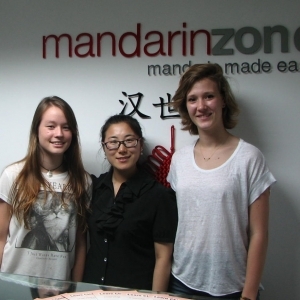 We will definitely recommend Mandarin Zone to anyone who would be interested in progressing in their mandarin studies. Again, thank you for your kind hospitality and we look forward to using your company again. I found a professional, flexible and friendly environment and I got a customized service that I ‘m sure will help me to succeed in my career. 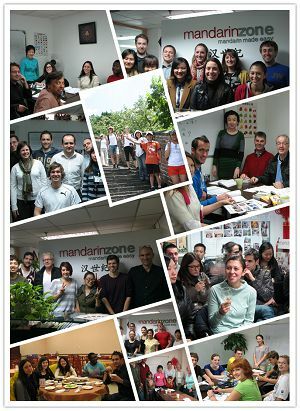 I highly recommend the Mandarin Zone School to every foreigner who needs to travel, live or work in China. I arrived in Beijing with absolutely no Chinese language skills, after starting to study with my teacher, I learned a lot of vocabulary for the daily life here in China. Liu Laoshi is a ver professional, flexible, very friendly and patient teacher. I really enjoyed my time at Mandarinzone School. I learnt a lot about Chinese and Chinese culture. I wish you all the best and hope to see you again soon the next time I come back to China. Since 2008 we had the chance to teach Chinese Language to people with different ages from all over the world, from beginner to advanced, from students of plenty majors in university, to professionals from different industries (a big share of our students are from Embassies and large Enterprises). This wide and varied teaching background allow us to really understand and be able to satisfy the learning needs of basically any students who desire to study in our school. We have passionate and qualified teachers that are working here since many years and that were able to develop and adapt the right teaching method based on the students needs. Why many students and companies choose us? We believe that the main reason why many students choose us it’s because of our… students! In fact, most of our students know Mandarin Zone through word of mouth: and no, we didn’t have any promotion related to bringing a friend (maybe in future we should establish one). Beside of what the students think about our school a big portion of our success is the fact that we are conveniently located in Sanlitun Embassy Area (2 minutes walking from Tuanjiehu Metro stop, Exit B): all the foreign embassies and many international companies are here, and this is probably the most famous hangout for foreigners in Beijing. Using the subway is the most convenient way to move around in Beijing and, when the classes are over, our students are already in an area where they can find everything: restaurants, shopping malls, supermarkets, bars, clubs and much more.